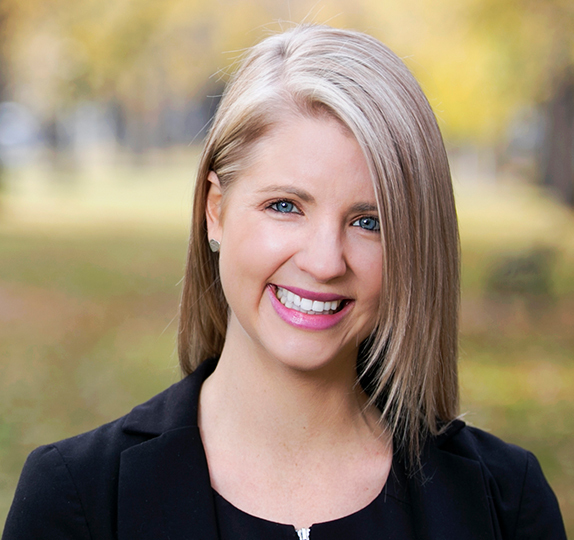 Danielle Pope, previously worked as a qualified Lawyer and Registered Conveyancer in one of Adelaide’s highest renowned commercial law firms. Danielle’s legal background and experience allows her to provide her clients an elite and distinct advantage in the marketplace when it comes to strong buyer negotiation, high attention to detail and presentation, and buyer followup and service. Danielle’s client testimonials support that she has a reputable history of going over and above to achieve the very best results for her clients. However to her, this is simply doing everyday what she loves doing most- helping people to successfully achieve their real estate goals! From the moment you interact with Danielle’s her professional advice and energetic approach is a stand out. Undoubtably, Danielle is driven by hard work and putting in top effort. She will ensure that every aspect of your engagement is carried out with the utmost diligence and understanding, which demonstrates why she remains close friends with all her past clients and operates largely on a referral basis. Danielle would love to assist you with any of your present or future buying, selling and investing ideas. To arrange an appointment please call 0421 760 359. Danielle’s professional approach and sound advice proved to be excellent. Her back up team were extremely efficient. We would thoroughly recommend Danielle and Harris Real Estate. Extremely happy with Harris Real Estate and the results achieved. All of their staff are professional, friendly and competent. Danielle Pope is a fantastic Agent and we are happy to highly recommend Harris and Danielle in particular. We were more than happy with Harris Real Estate and particularly the agent Danielle Pope whose persistence, professionalism and communication skills were exemplary. My wife and I have no hesitation in saying “give Harris and Danielle a go”. You won’t be disappointed. Danielle Pope was fantastic to deal with, nothing was ever too much trouble and she always greeted myself and family in a very happy and professional manner. We will refer her to all our family and friends. It may only be once in a lifetime that you sell a home and you want that experience to be stress-free and to your advantage. Danielle made that happen for us. From the moment we engaged her services she was pro-active, in touch with us and didn’t waste any time getting the property on the market. It was sold after the first open inspection and she negotiated with all interested parties to gain a fabulous price for us. Danielle is a very efficient operator who did everything she said she would. Her admin staff too were fabulous. Maddie has a great, friendly manner in her emails without being over the top. She too was delightful to work with. My dad first approached her over 18 months prior and the day I made the phone call to take up those conversations again, she remembered the property well and the discussions she’d previously had with dad. Professional, very much on the ball, great delivery. Danielle and Sam were outstanding. They were friendly and interested in what I was doing but always professional. Just a joy to work with. There communication was first class. Replied to phone calls, emails and sms very promptly indeed and always kept me informed and in the loop. I was delighted with the amount I received for selling my house. Very good negotiating by Sam. I have no hesitation in recommending either of the salespeople to my friends. Danielle was very thorough & professional. A pleasure to deal with. We would like to thank Danielle for all of her efforts from first contact through to settlement. Her professional approach towards every aspect of the sale process was appreciated. Phil’s auctioneering skills combined with Danielle’s negotiation skills ensured that we achieved a great sale price on auction day. Everyone was great and provided excellent service in all areas. I would certainly recommend Harris to anyone selling. It was a pleasure and a rewarding experience to have Danielle Pope as our agent to sell our home. Danielle explained how we could achieve $40,000 more for our home which she did. All other agents seem to have the same mind set re setting the price. Danielle came in with a totally different approach which was very refreshing. Danielle is a very professional agent always keeping us in touch and taking an interest in our situation.Marie and I would thoroughly recommend Danielle Pope and Harris Real Estate to sell their home. Couldn’t have asked for anything better, Danielle was excellent, realistic advice, helpful manner, and very supportive, house sold within the week for a great price. Danielle handled the sale of the property we purchased and the sale of our property. We were very happy with the work she put in on the sale of our property giving regular feedback, as well as the way she handled the property we purchased. I am very happy to recommend Danielle and Harris Real Estate to handle the sale or purchase of a property for the very professional manner in which they conducted their business. We would recommend Danielle without any hesitation. She more than met our expectations and was fully committed. I was very happy with the way Harris Real Estate handled the sale of my property. Feedback often, to how clients reacted, and advice to assist in the sale. I was also impressed that there was no pressure on me (as a single woman) to take the first offer. Having waited for three more days Danielle sold my home for price to what I wanted. I am a very happy client. Danielle was great and helped me with every step, since I had not no idea what I was doing. I would definitely use her myself if I decided to sell further down the track. I was very pleased with the sale results. Danielle worked very hard at marketing the property and kept me informed every step of the way. After the inspections her reports were thorough and she gave me confidence that she was doing everything she could to sell the property. A very professional, thorough and communicative agent and I would not hesitate using Harris Real Estate in the future.